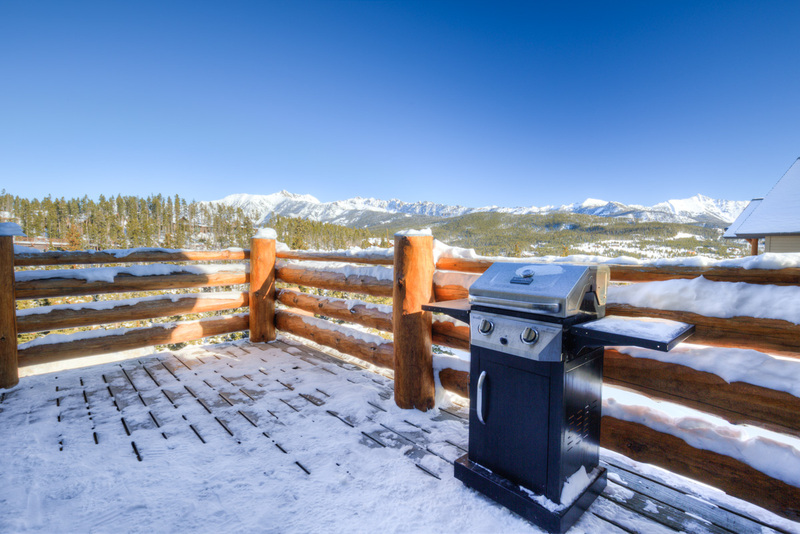 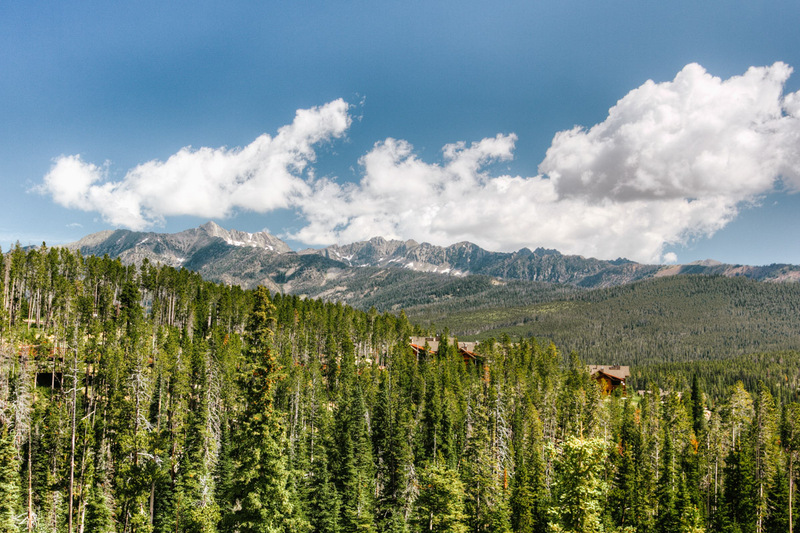 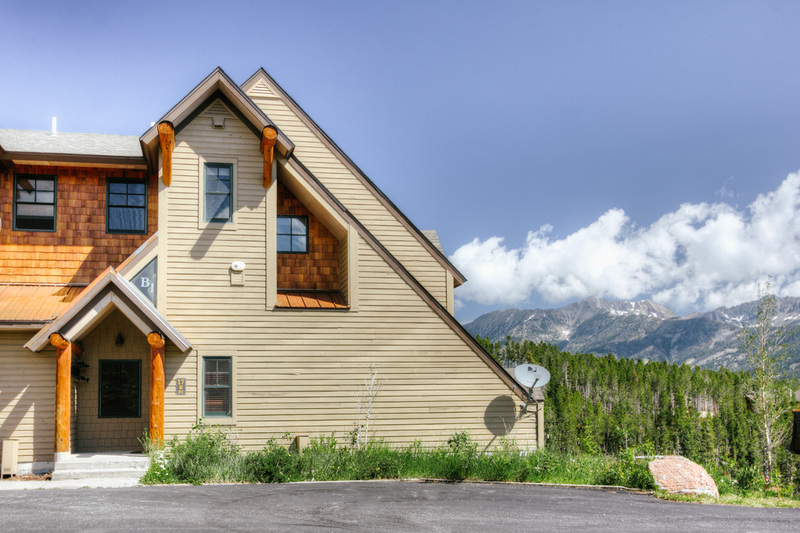 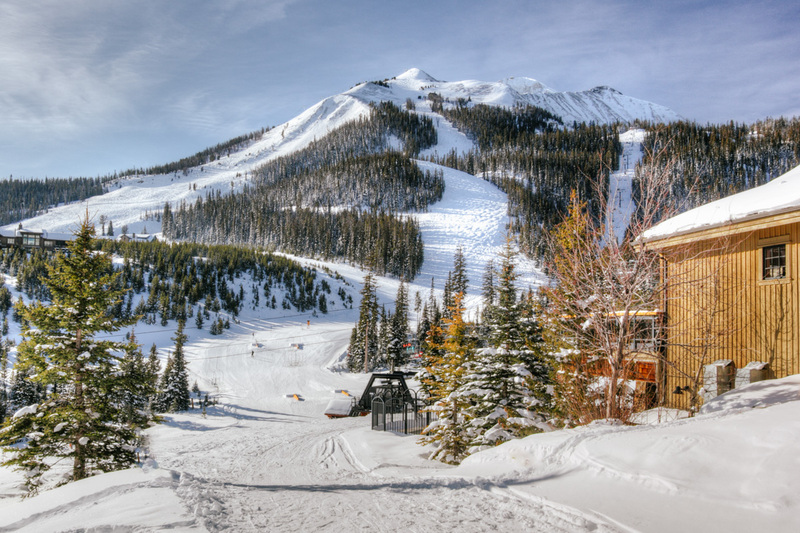 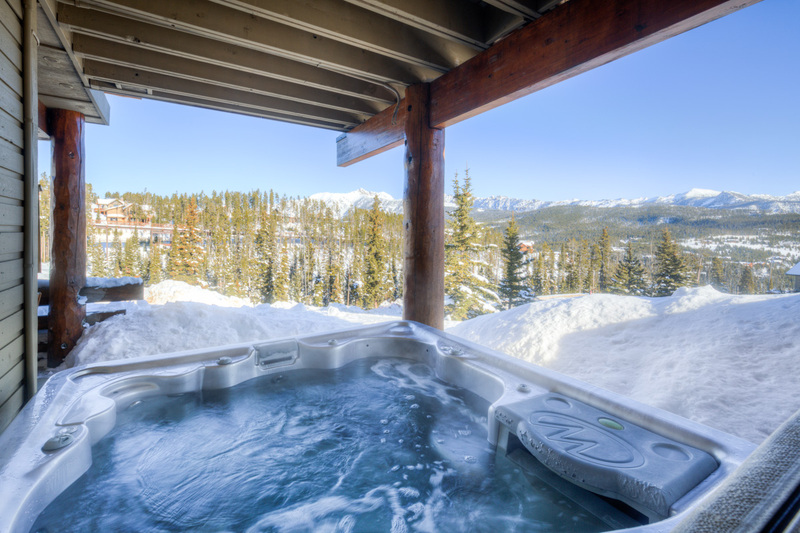 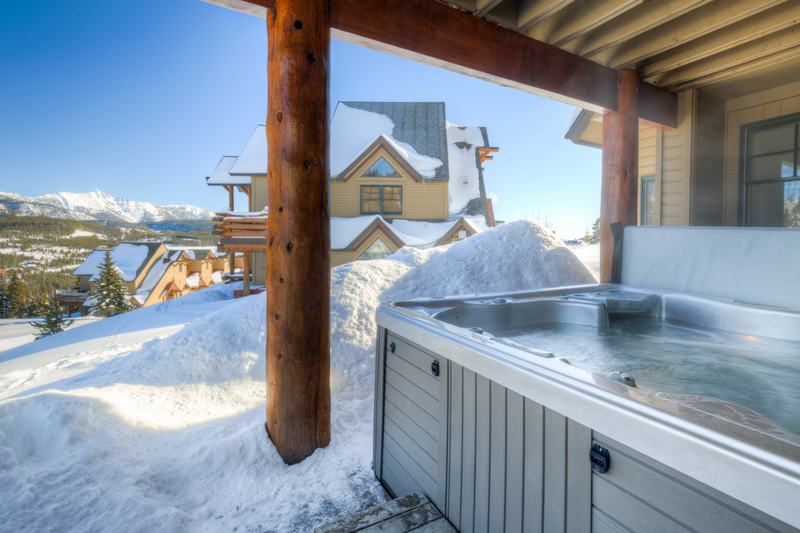 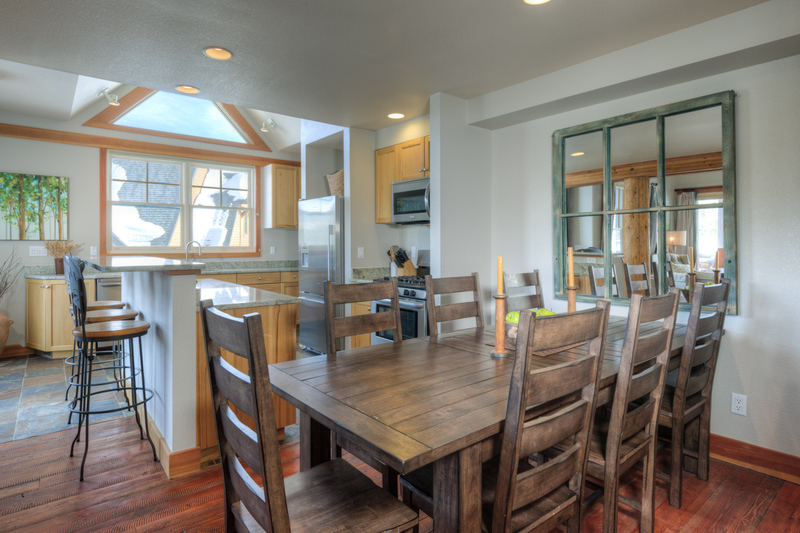 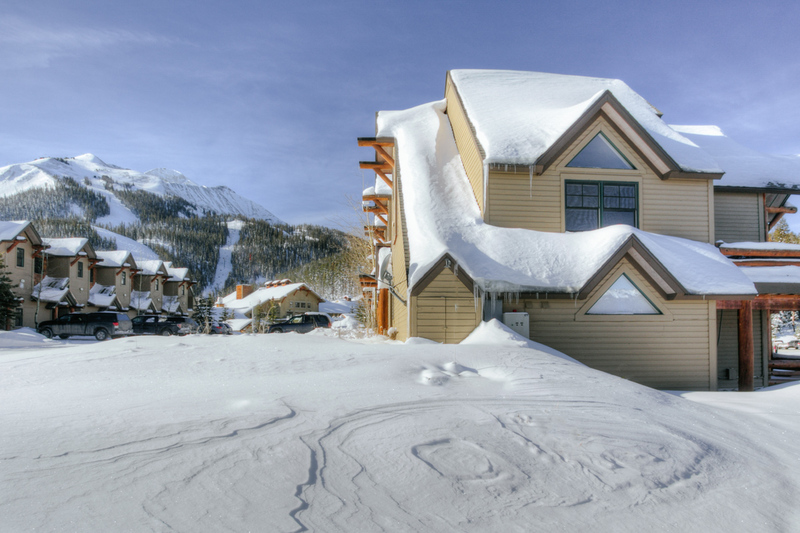 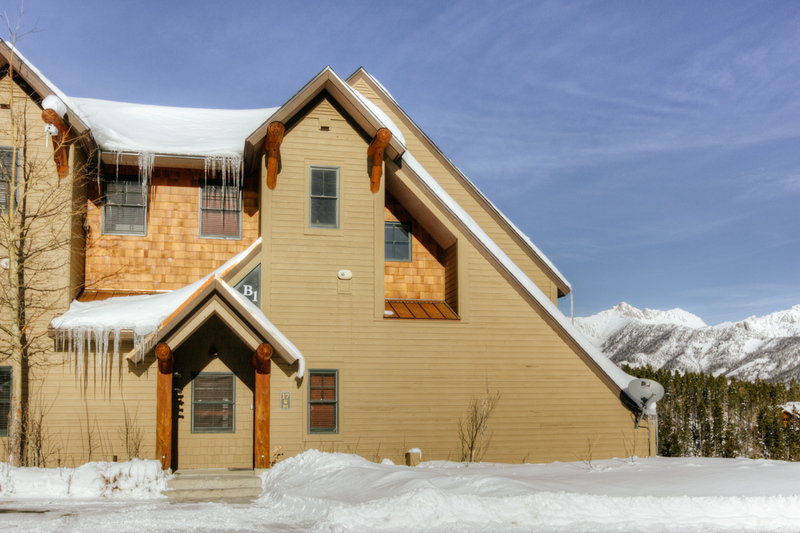 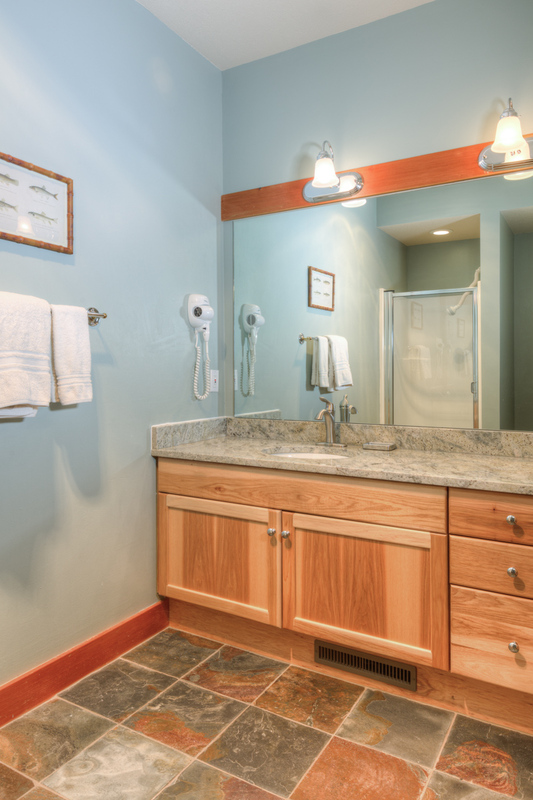 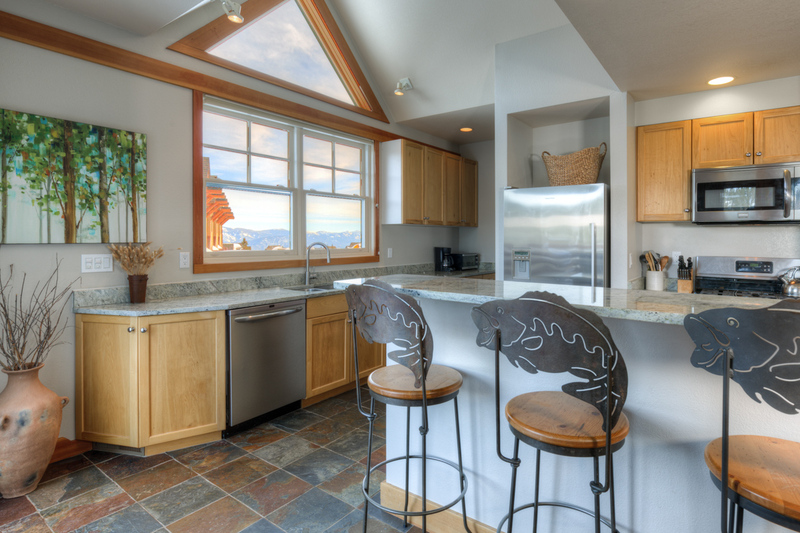 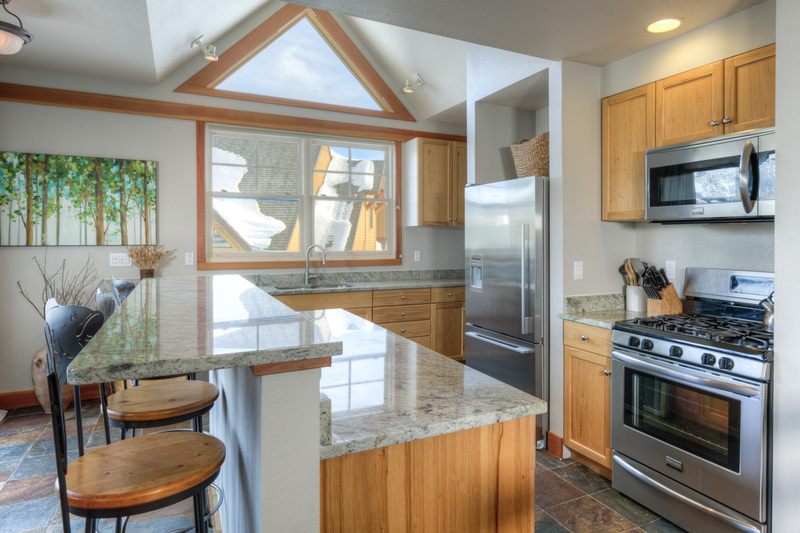 Conveniently located adjacent to Moonlight Lodge, the Saddle Ridge Townhomes are Moonlight Basin's original accommodations and offer spectacular mountain views. 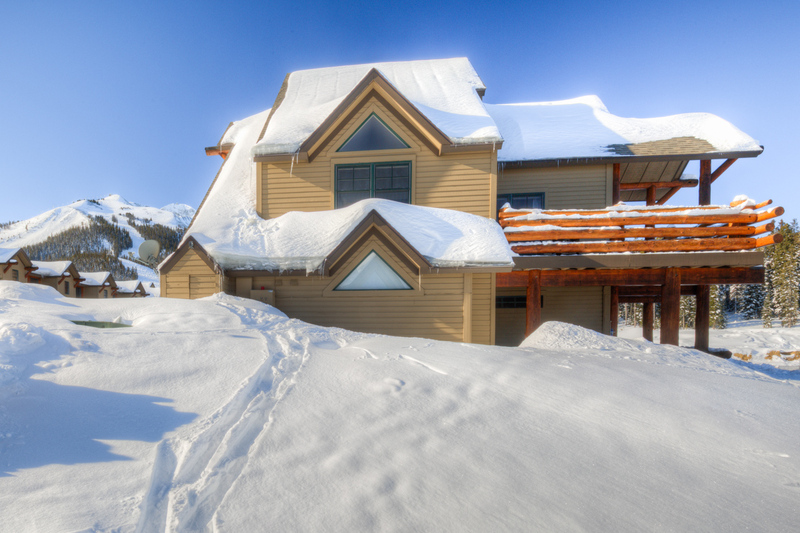 In the winter, enjoy easy ski access. 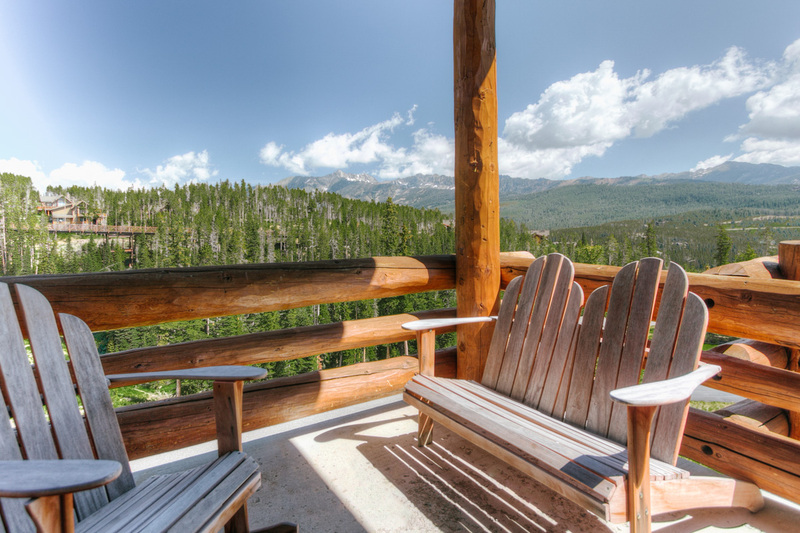 In the summer, enjoy the outdoor living space of the multi-level decks. 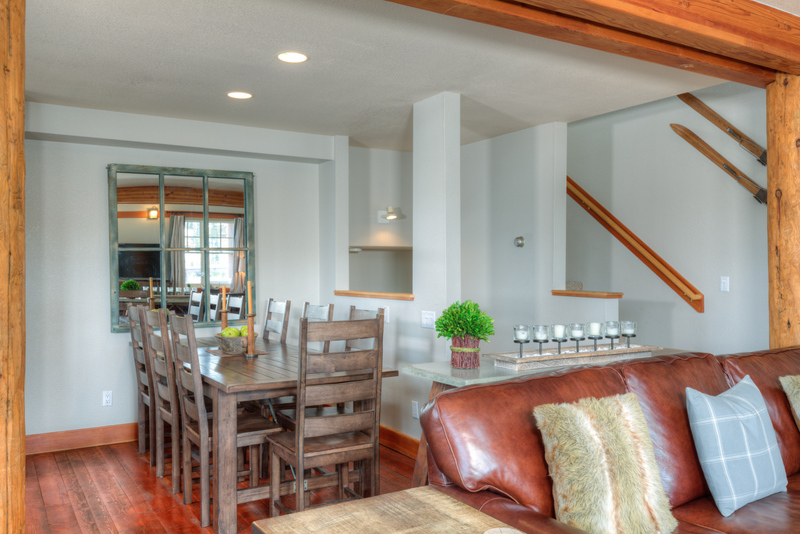 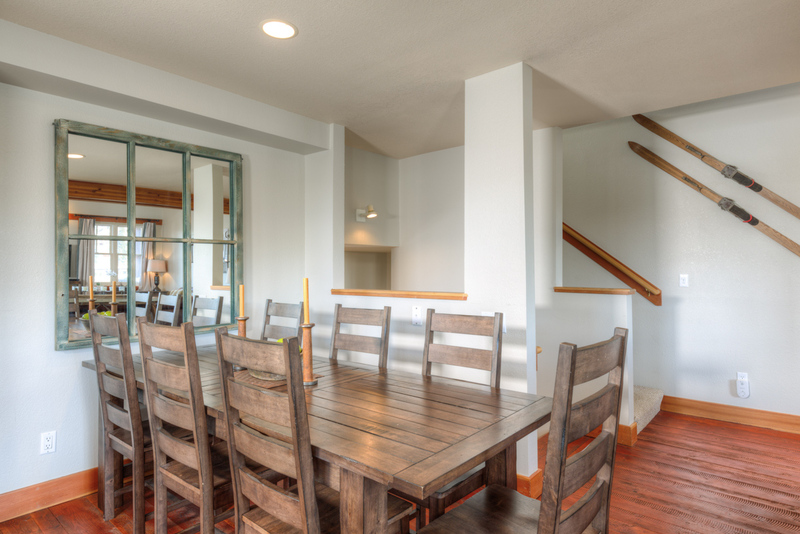 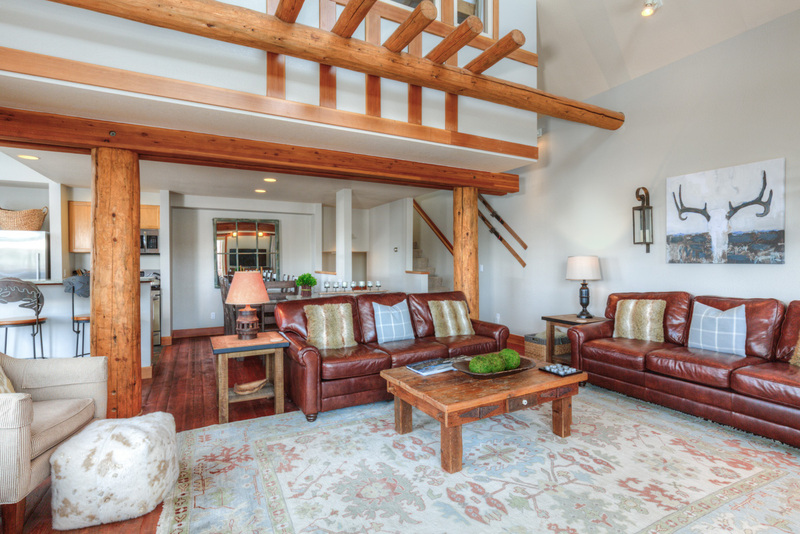 The three level town homes are perfect for couples traveling together or just a family. 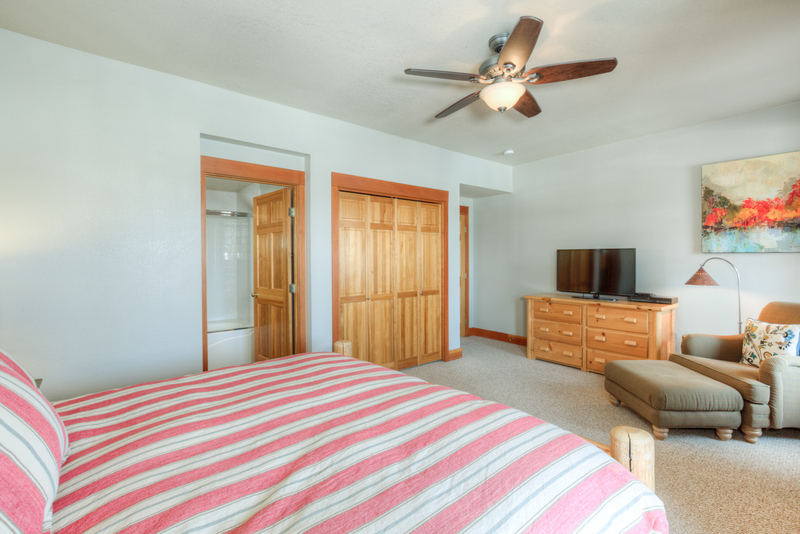 With bedrooms that are separated by the entry level with a full kitchen and living space, there is room and privacy for everyone! 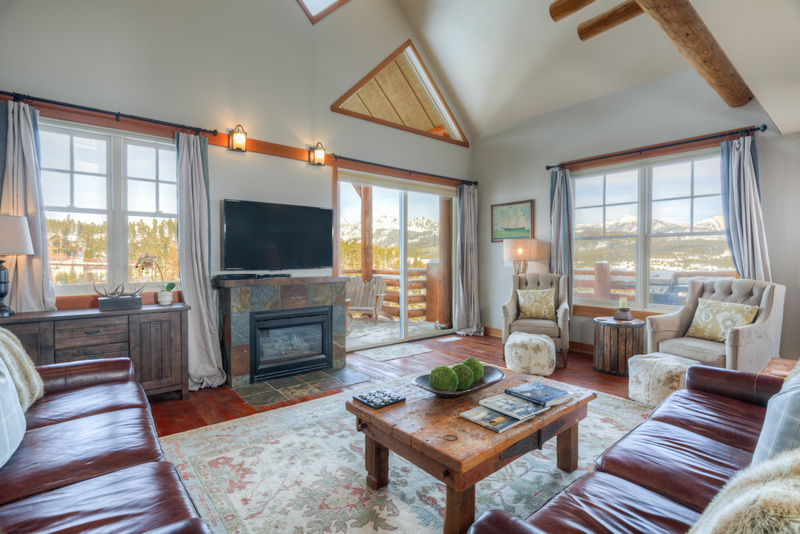 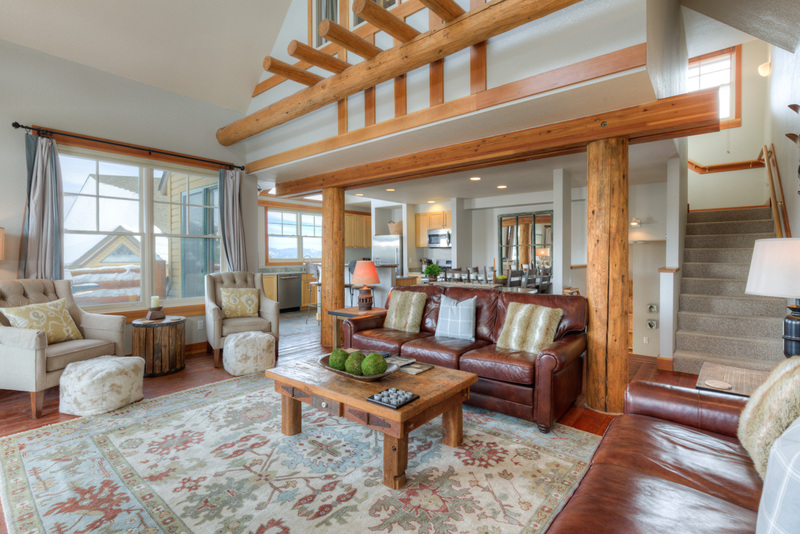 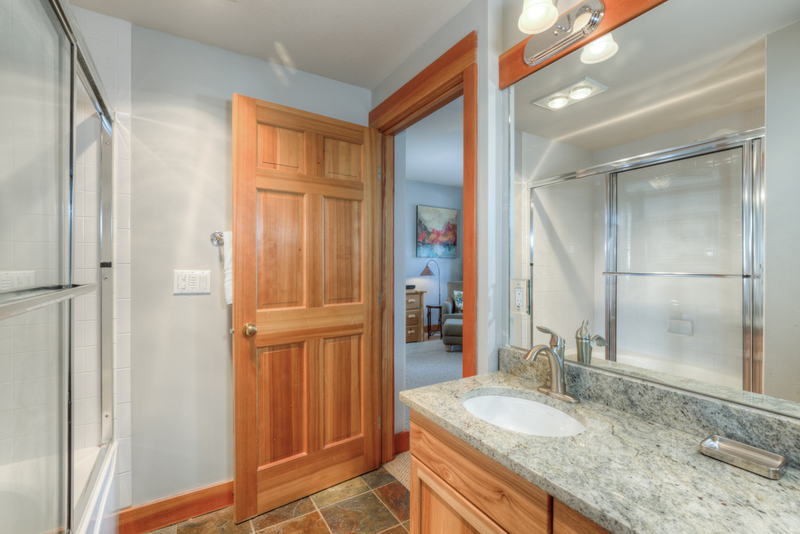 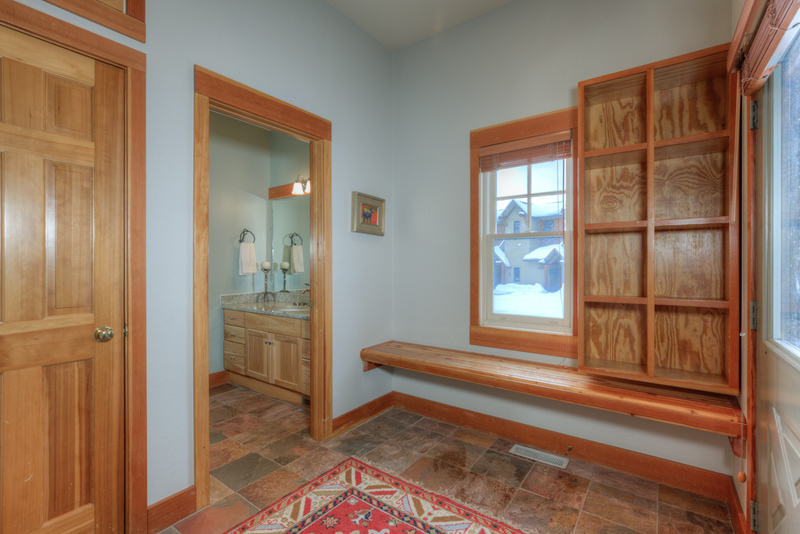 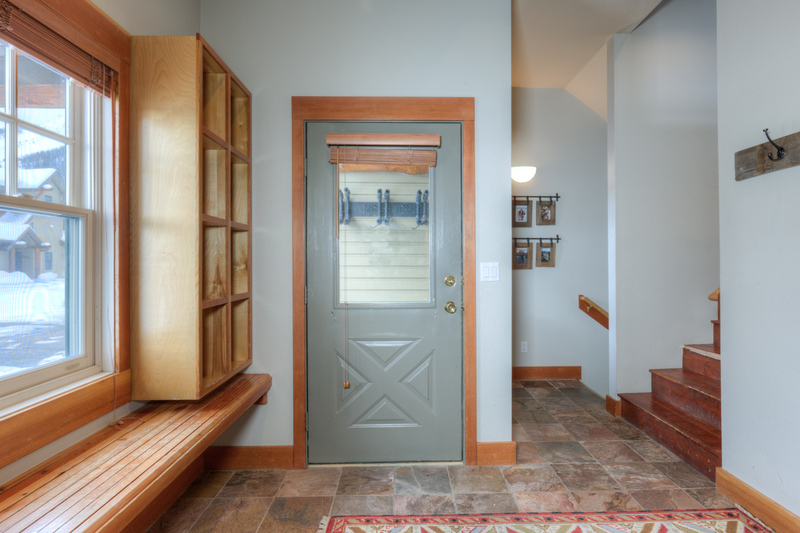 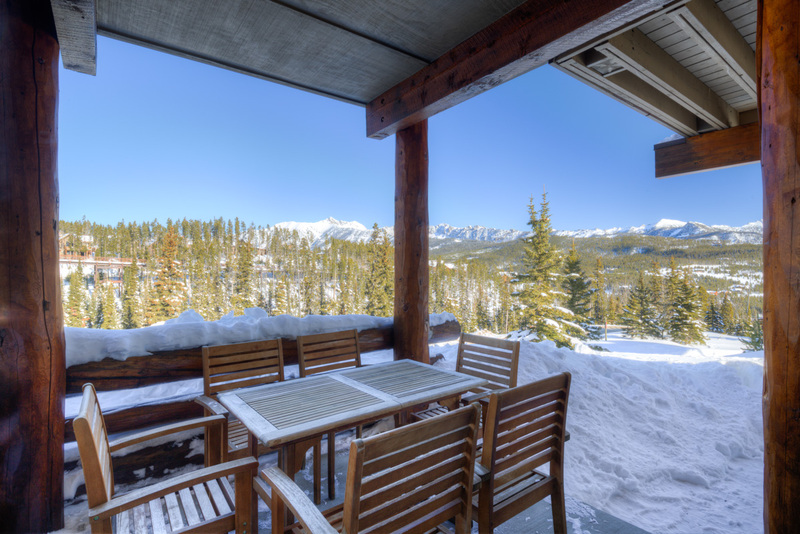 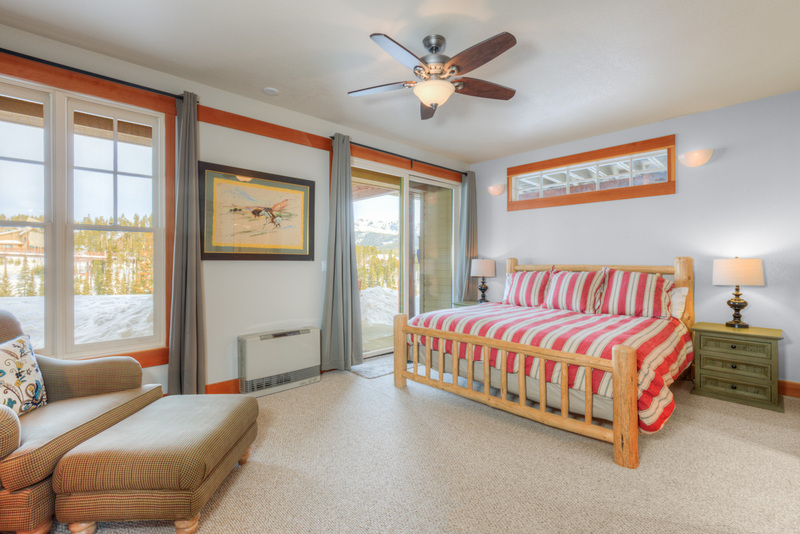 This home is comfortable and casually appointed and offers ski-in/out access to Big Sky Resort and Moonlight Basin via the Pony Express chair lift. 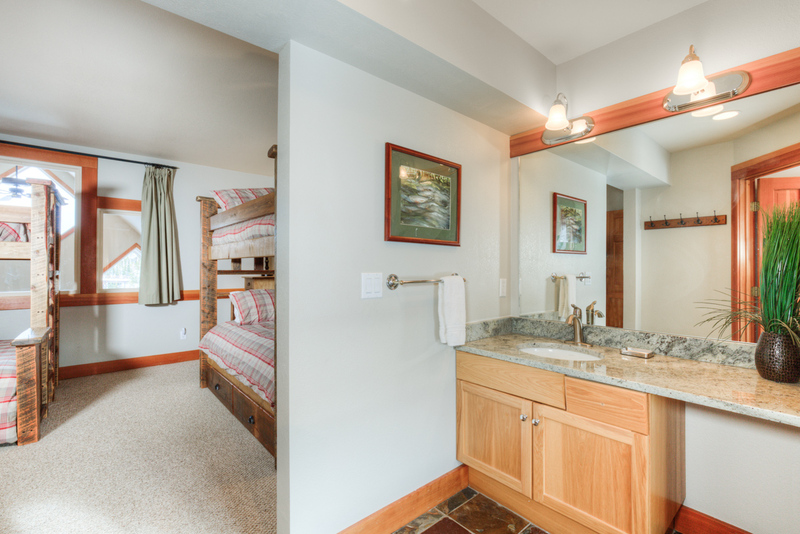 There is one bedroom upstairs, which offers a Captain’s bunk set, twin bunk bed set with twin trundle, TV, and a private bathroom. 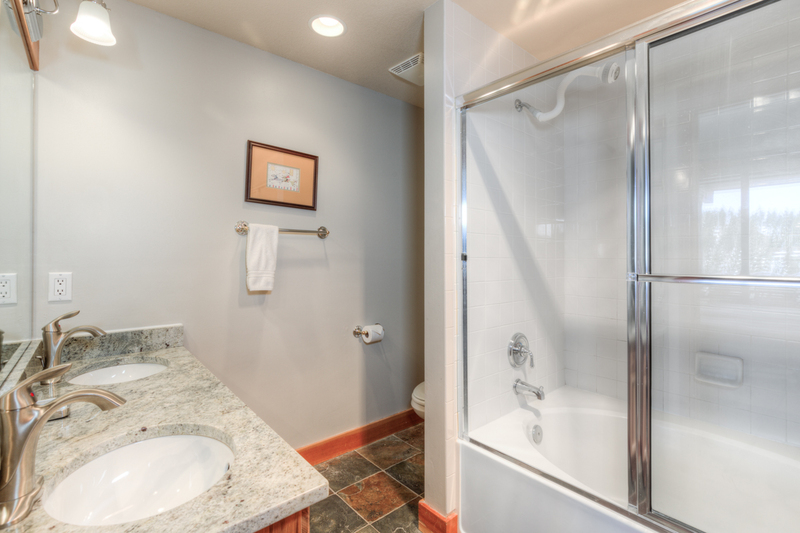 Two bedrooms downstairs each have a private bathroom; one with a king bed and the other with a queen. 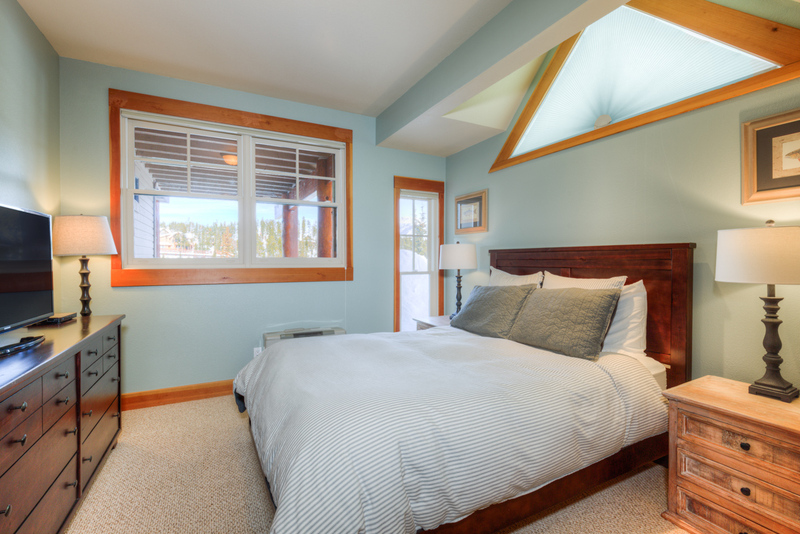 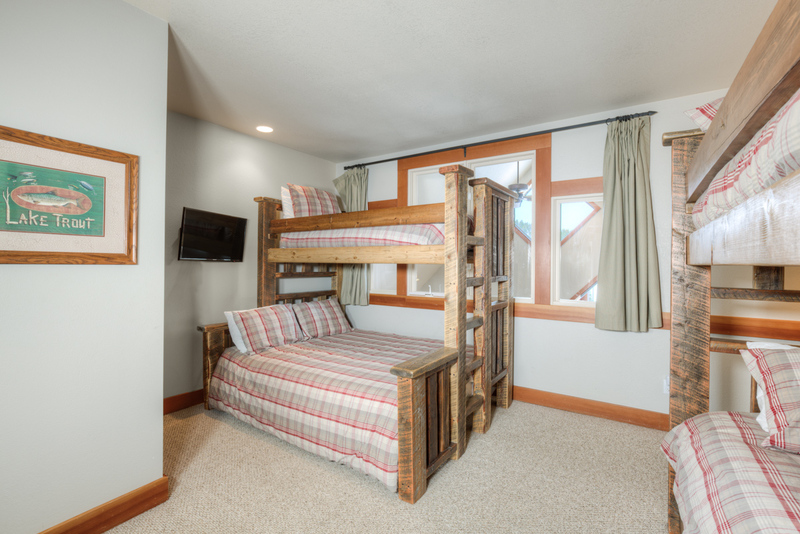 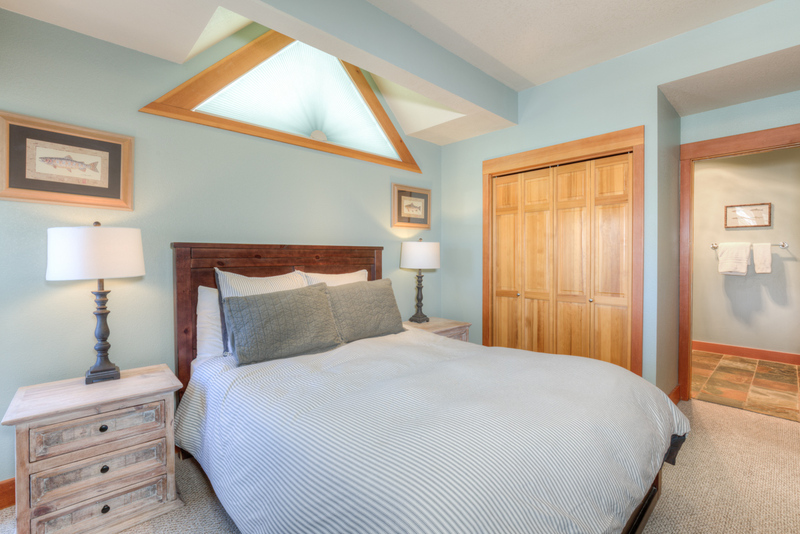 There is also a bonus room with a twin bunk bed providing bedding for an additional 2 people. 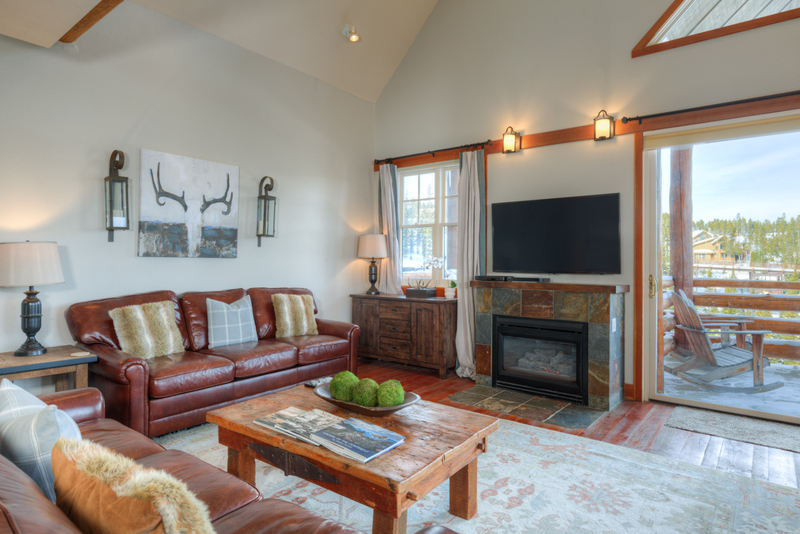 There is a gas fireplace in living room and a private outdoor hot tub is also available. 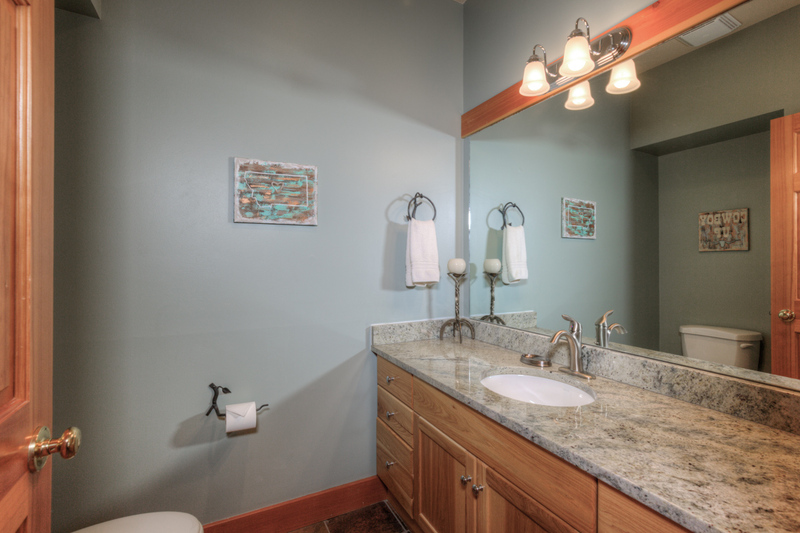 Saddle Ridge Townhome | Unit B1 is rated 5.0 out of 5 by 2. 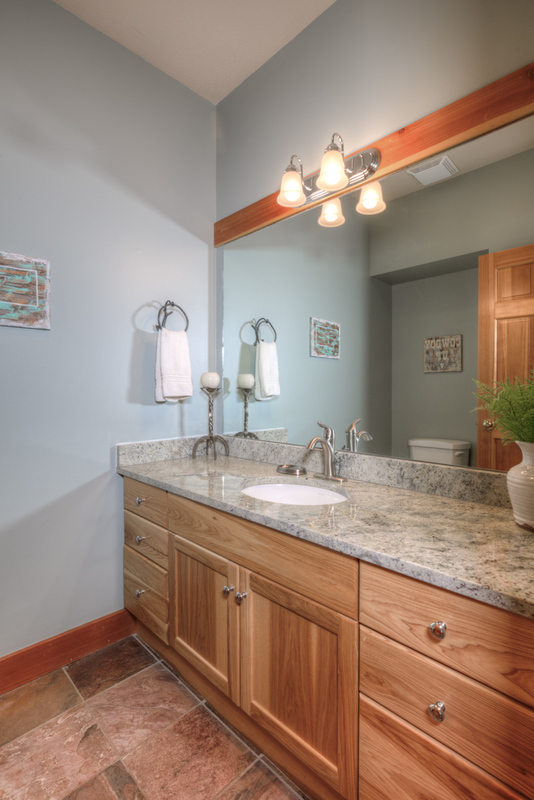 Rated 5 out of 5 by Leigh Ann from Fully Stocked! 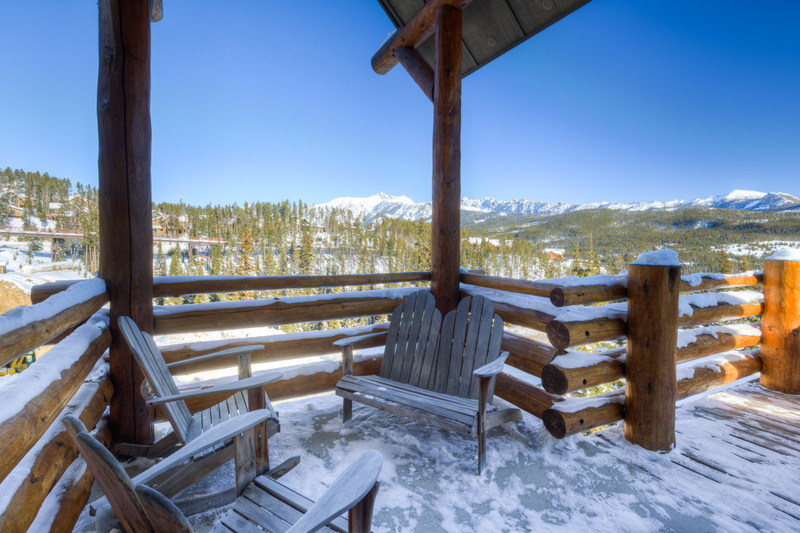 Stayed in January. 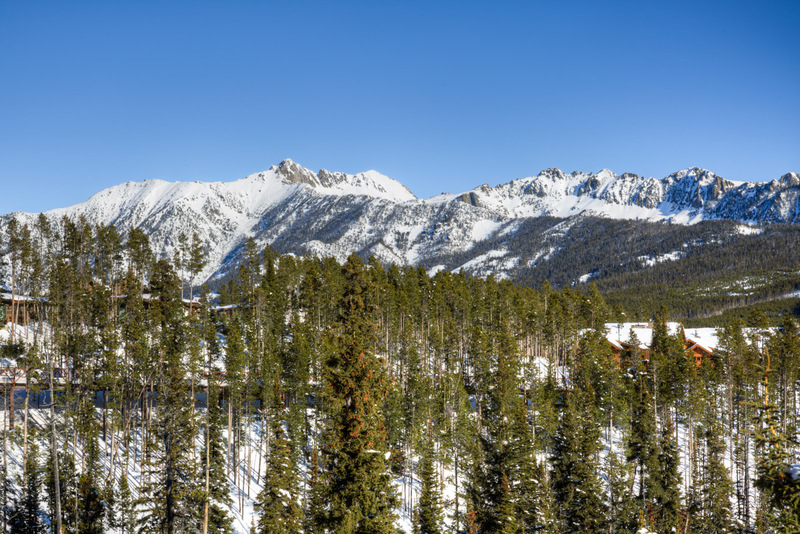 Very short walk to the ski lift. 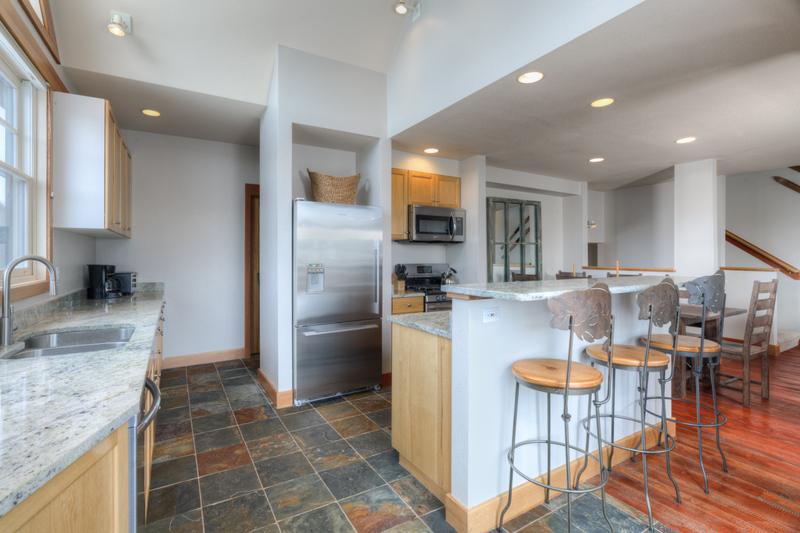 Home had everything we needed, including TP, garbage bags, laundry detergent, etc. 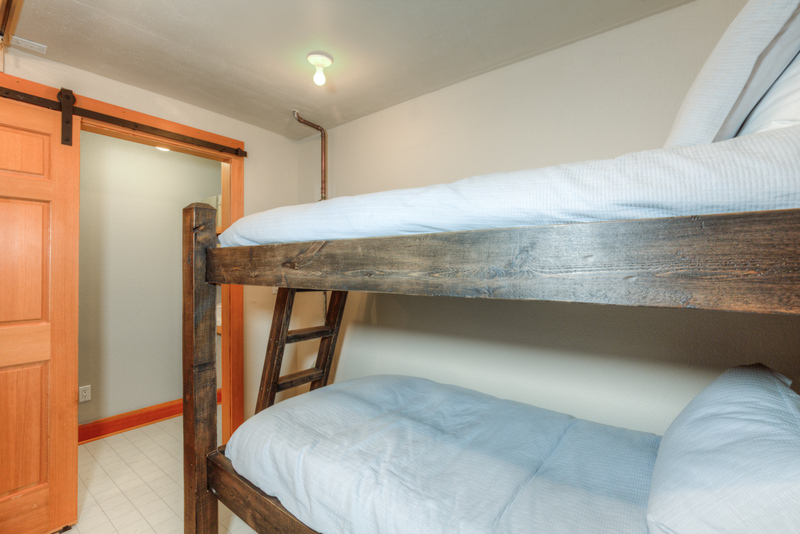 Note the extra set of bunk beds are in the laundry room near the king BR and queen BR. 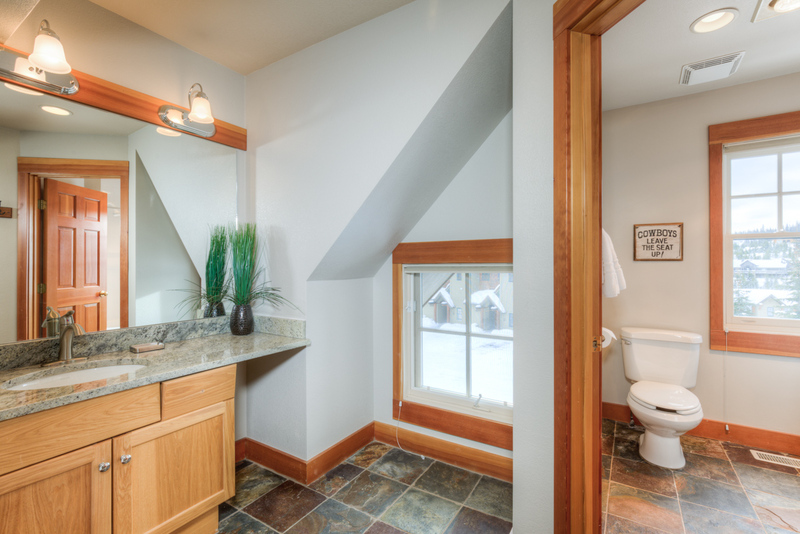 Only downside to the upstairs BR with wooden bunk beds is there is no door between the bathroom sink area and the Bedroom.